Congratulation now your server is ready to start. Now time to test your server. Open a browser and enter URL http://localhost:8080. If a page is displayed with following logo then your server is successfully started. 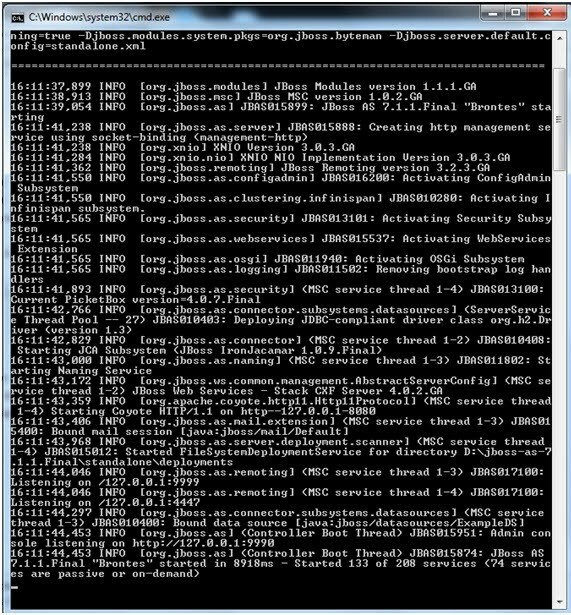 If server is not yet started then check your JAVA_HOME environment variable. A web application is deployed in the \server\default\deploy folder. One web application will have below director structure. In the root directory \onlineresult, create the following directory structure. Now start your JBoss server. Open a browser and enter url http://localhost:8080/onlineresult/index.html. You will see your page. part of the public document tree of the application. A browser can not access any document from URL that exists within WEB-INF. /WEB-INF/web.xml deployment descriptor, configures application. /WEB-INF/classes/ directory for servlet and utility classes. The classes in this directory are used by the application class loader to load classes from. /WEB-INF/lib/ contains library jars like database driver. All such archive files are used by the web application class loader to load classes from. JBoss AS connects to relational databases via data sources. These data source definitions can be found in the jboss-as/server/production/deploy directory. The data source definitions are deployable just like WAR and EAR files. The data source files can be recognized by looking for the XML files that end in *-ds.xml. The data source definition files for all supported external databases can be found in the jboss-as/docs/examples/jca directory. The following code snippet shows the mysql-ds.xml file as an example. All the other *-ds.xml files are very similiar. You will need to change the connection-url, as well as the user-name / password, to fit your own database server installation. Once you customized the *-ds.xml file to connect to your external database, you need to copy it to the jboss-as/server/production/deploy directory. The database connection is now available through the JNDI name specified in the *-ds.xml file. Q: Where do you deploy your application at JBoss? Ans: We deploy web application as war or exploded format in ..\server\default\deploy folder. Q: How do you configure data connection pool in JBoss? Q: What is the default port of JBoss server ? 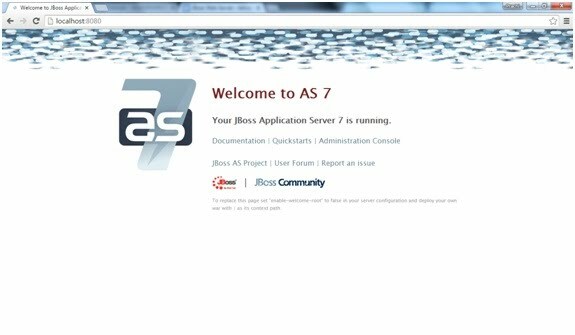 Q: How to start and stop JBoss server? Ans: Using .bin\standalone.bat and .\bin\shutdown.bat. 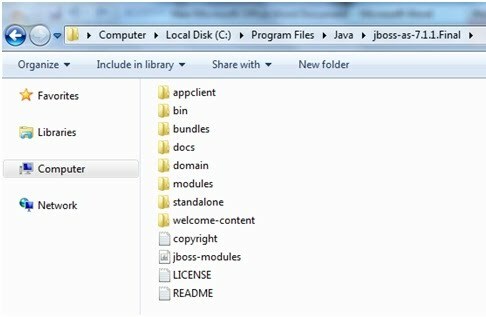 Q: What is the deployment folder structure of a web application in JBoss/Tomcat Server? Ans: See above 'Structure of Web Application'. Q: How do you integrate JBoss with Tomcat? 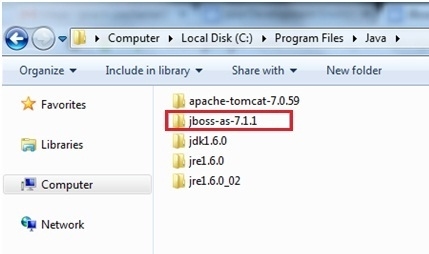 Ans: Tomcat comes with JBoss as a deployable service in jbossweb-tomcat-5.0.sar folder. Two files need to be changed to configure Tomcat with JBoss. (1) Configure org.jboss.web.tomcat.tc5.Tomcat MBean entry into ./jbossweb-tomcat-5.0.sar/META-INF/jboss-service.xml file. Q: How can you change the default port of JBoss server? Ans: Replace 8080 by your desired port in ./jbossweb-tomcat-5.0.sar/server.xml file.